Welcome to the Shadow Creek Farm website, Shadow Creek Farm is home to Dean and Marsha Anderson’s Target Red Polls. We hope that you find this site informative and helpful. If you have suggestions for the improvement of our site please contact us. 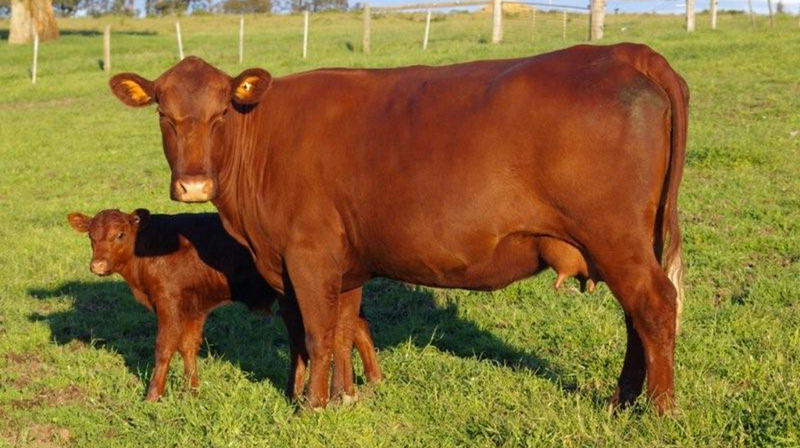 Check out what has been happening on Shadow Creek Farm and our Target Red Poll world. Shadow Creek always has livestock for sale, from mature cows and bulls to yearling bulls and open or bred heifers. We also sell organic timothy horse hay and alfalfa mixed hay. In the fall we offer natural grass fed beef by the half or whole, inspected and packaged at Lawrence Meats in Dawson Creek. Check out our sales page to see our current features. Shadow Creek has a mixture of older and younger herd sires and we AI most of our cows the first service in the spring. Check out the info on our herd Bulls as well as our AI Sires. Shadow Creek Farm has found the following links to be helpful for people wishing to know more about the Red Poll breed and compare pedigree and EBV information. © Copyright 2019 Shadow Creek Farm.